Here's where to watch every episode of Trapper John, M.D. season 5. Mouseover or tap an episode to see where to stream it. Click or tap the play icon to stream it on the best available service. I Only Have Ice for You Oct 2, 1983 A professional skater refuses treatment for a heart condition that could be fatal. Stanley and E.J. find out that they are going to be parents. ... And for Loyal and Devoted Service Oct 9, 1983 The new acting board chairman tries to pressure Arnold Slocum into retirement only four months short of his pension. All About Everett Oct 16, 1983 All About Everett is an episode of Trapper John, M.D. May Divorce Be With You Oct 23, 1983 Trapper's ex-wife starts a self-help group for the wives of doctors, and ends up with one of them on her doorstep. Stanley and E.J. may lose their baby. What a Difference a Day Makes Oct 30, 1983 Trapper gets called into the hospital on his birthday to deal with a possible epidemic. Stanley is finally able to track down the source of the problem, but that does not do much for John's mood, as everyone seems to have forgotten him. 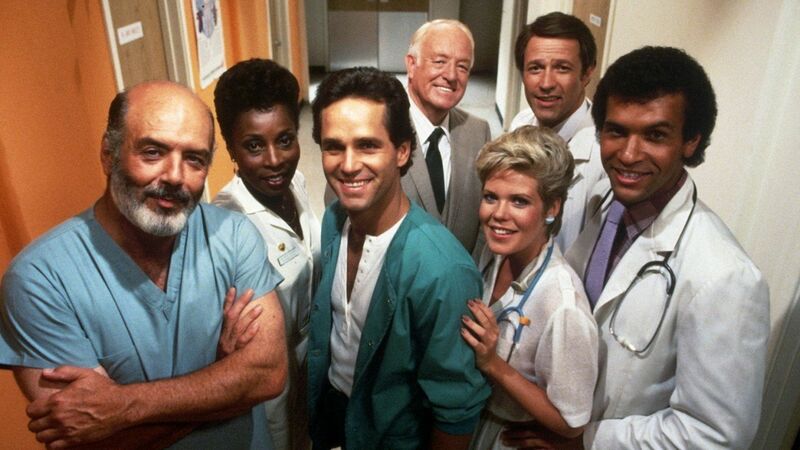 The Final Cut Nov 6, 1983 Gonzo is not happy when Trapper passes on to him the job of proctoring three Cardio-Thoracic surgery residents, and things get worse when he learns that he is required to cut one of the residents out of the programme because of budget cuts. Old Man Liver Nov 13, 1983 A 119-year-old man, seemingly in good health, says that he has come to the hospital to die. He changes his mind after media attention makes him feel important again, but Trapper discovers an aortic aneurysm that may kill him after all. The Agony of D'Feet Nov 20, 1983 As SFM fills with the casualties of the Bay City Marathon, E.J. Riverside goes into labour three weeks early. Stanley can't be found, because he has secretly decided to compete in the run. Mother Load (a.k.a.) If it Ain't Broke Nov 27, 1983 Andrea finds out who her real mother is, and wants to meet her. Trapper's concern over the emotional state of a Greek patient brings out the good samaritan in Gonzo, who decides to contact the man's daughter in Greece. Fat Chance Dec 4, 1983 Against his better judgement, Trapper agrees to staple the stomach of an obese woman. Gonzo goes to unusual lengths to save Andrea's dog. Supernurse Dec 11, 1983 Everyone is happy for Gloria when she earns her accreditation in Advanced Cardiac Life Support Care, except one doctor. He does not believe nurses should be doing this kind of work, and tries to have Gloria fired. Special Delivery Jan 1, 1984 A nurse/midwife who spreads herself too thin threatens her career and two lives, and may bring Gloria down with her. Gonzo sets up a homey ""birthing centre"" at the hospital. Play Your Hunch Jan 8, 1984 Trapper's old friend, a former workaholic, turns up after years. Trapper is confused when he finds that the man has quit his job and seems intent on nothing but having fun. An E.S.P. clinic set up in the hospital seems to be bringing out unwanted talents in Ernie. A Little Knife Music Jan 15, 1984 When an eight-month-old baby is brought to the hospital with respiratory problems, x-rays show that the child is a dwarf. Where There's a Will Jan 29, 1984 A cancer patient who dies at the hospital leaves all his worldly wealth to Gonzo, who discovers that most of it was obtained illegally. Jackpot, Ernie and Gloria conspire to trick Stanley into taking his annual physical. Send in the Clowns Feb 12, 1984 An elderly woman comes to visit with her husband, who died a year previously. A pediatrician has difficulty dealing with a young boy who has cancer. This Gland is Your Gland Mar 4, 1984 Gonzo is convinced that the paranoia of one of his patients has a physical cause. Slocum attempts to cut back on nursing costs by employing a robot nurse, who proves to be quite successful. The Fred Connection Mar 11, 1984 A patient at SFM who fancies himself a detective is determined to solve the mystery of missing medication, to the despair of the police working on the case. The Jackpot Pays Off Mar 18, 1984 For two years Jackpot has allowed an elderly friend to believe that $10 a month is paying for full medical insurance, but he runs into trouble when she becomes seriously ill and requires treatment he cannot afford. I Do, I Don't Mar 25, 1984 Trapper questions Ernie's motives when she accepts a proposal from a long-time suitor only after she finds out that he is dying. It's About Time Apr 1, 1984 When his office ends up as a temporary storage dump for medical equipment from the WWI era, Trapper imagines how routine cases would have been treated at that time, and decides that SFM isn't quite a dinosaur after all. Aunt Mildred is Watching You May 6, 1984 An expert brought in by the board to increase hospital productivity only makes life more difficult as the staff deals with a doctor who performs unnecessary surgeries and a shy man with an awkward problem.